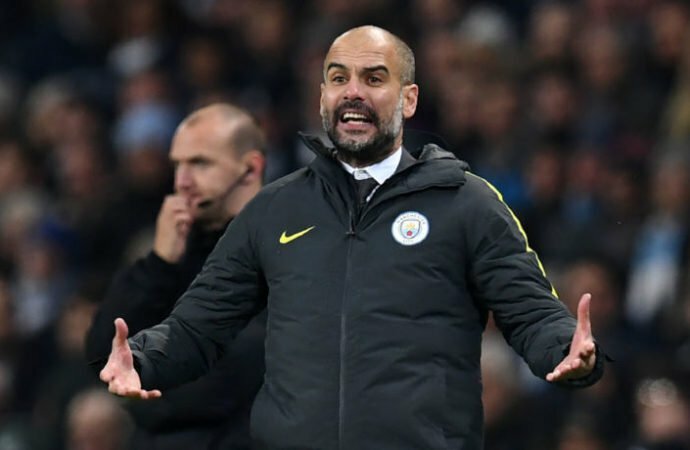 Manchester City manager, Pep Guardiola, has warned his players to raise their level or forget about retaining the Premier League title. City slipped five points behind leaders Liverpool in midweek, after losing 2-1 to Newcastle. Guardiola’s men host Arsenal on Sunday, knowing victory will take them within two points of Liverpool and keep the pressure on Jurgen Klopp’s side, who travel to West Ham on Monday. “It doesn’t matter, if we are five, six, seven or eight points behind, we have to improve our game. “We have to improve our game. Regarding the last game, that’s what we have to focus on. “We are not happy about the last performance. Everyone knew at half-time and at the end of the game. “But if we didn’t have motivation, then we wouldn’t be here. We want to sustain the top level.